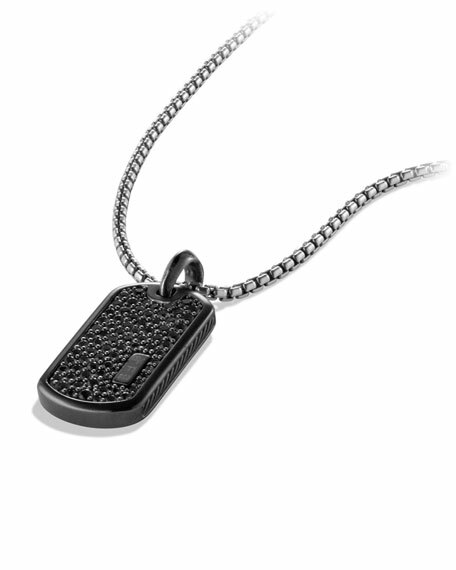 David Yurman tag from the Pavé Collection. Black titanium and sterling silver. Pavé black diamonds, 2.68 total carat weight. Tag, 1.4"H x 0.7"W (35 x 19mm). 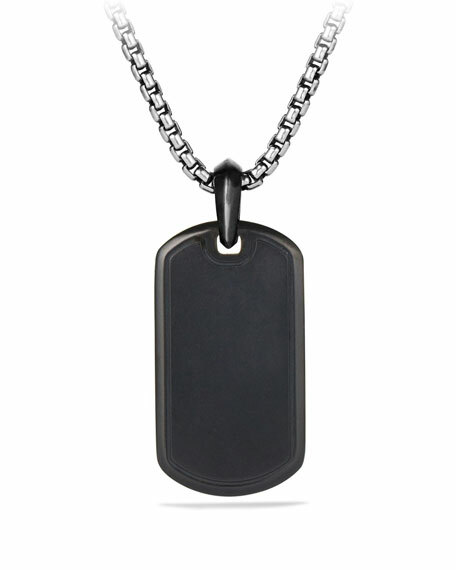 David Yurman men's box chain necklace. Darkened stainless steel. Lobster clasp. 0.1"W (2.7mm). 22"L.